FEED was built upon the power of individuals like you, joining in the fight against hunger and creating change through conscious purchases. Heartwarmingly, around the holidays, we always see a significant uptick in shopping from those checking off friends and loved ones from their lists. As seen in our gift guide, we've got perfect picks for Her, Him and beyond covered for you. But we also see companies getting into the spirit by partnering with FEED to make a difference in people’s lives. In the case of H&M this year, they will be providing over 400,000 meals to Americans in need this holiday season. 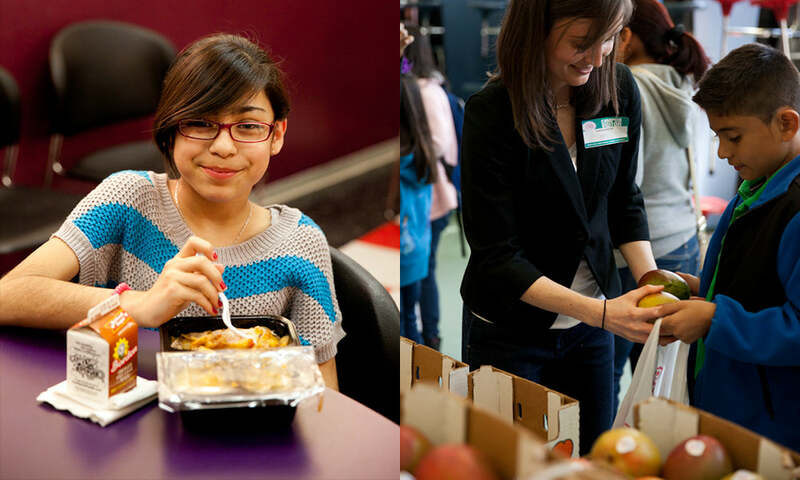 We are thrilled to have worked with H&M, a sustainable partner - inside & out - to provide over 400,000 meals to children and families across our country. Not only have they used their corporate might to give back in the communities in which they operate, they have also ignited their employees' interests in social good. Educating them about the issue of hunger and how they can make a difference is, truly a gift that will keep on giving. Click here to read more about how H&M is giving back. To learn more about giving FEED at your company, email [email protected].